Like to know more about OZBOX? Please complete this form and an Oxford Education Consultant from your area will be in touch to provide you with further details. 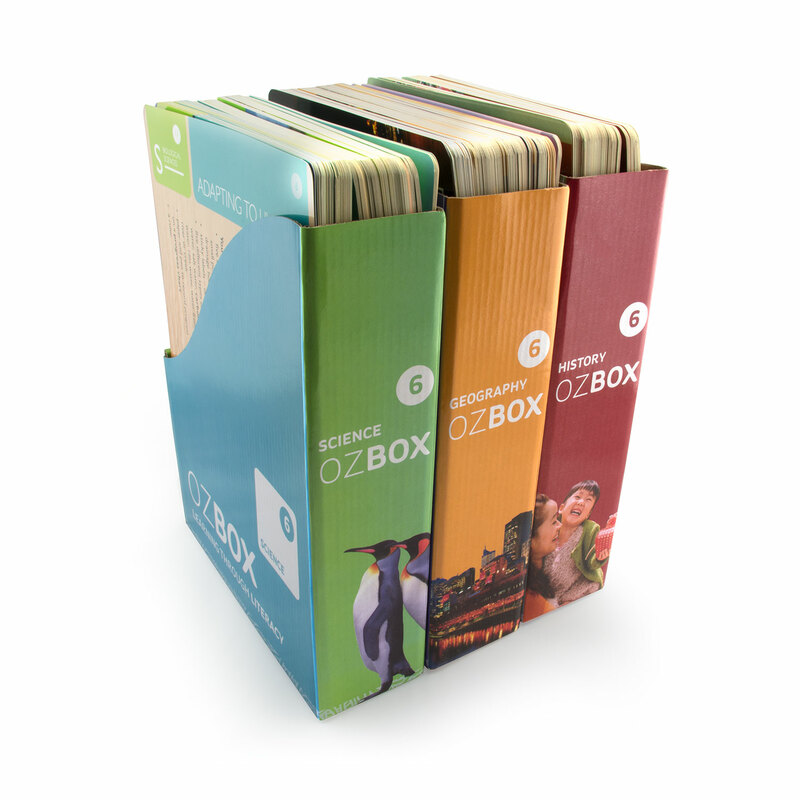 OZBOX: Learning Through Literacy is a comprehensive and engaging program for Years 3–6 that provides full coverage of the Australian Curriculum for Science, and Humanities and Social Sciences, specifically History and Geography. 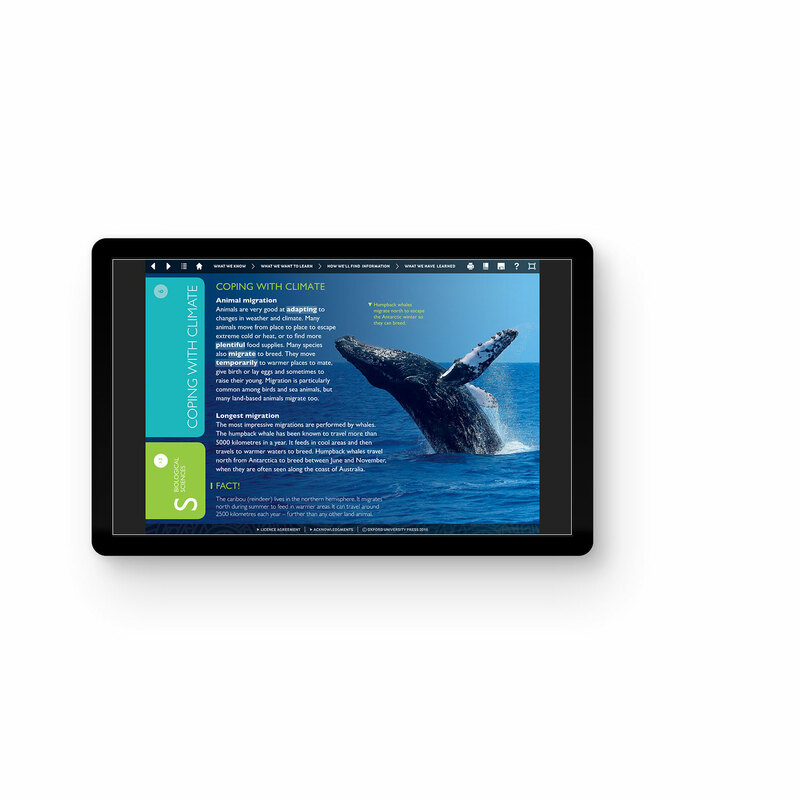 OZBOX contains highly visual, informative and detailed topic cards, giving students the opportunity to read, comprehend and engage with content aligned explicitly to the Australian Curriculum. 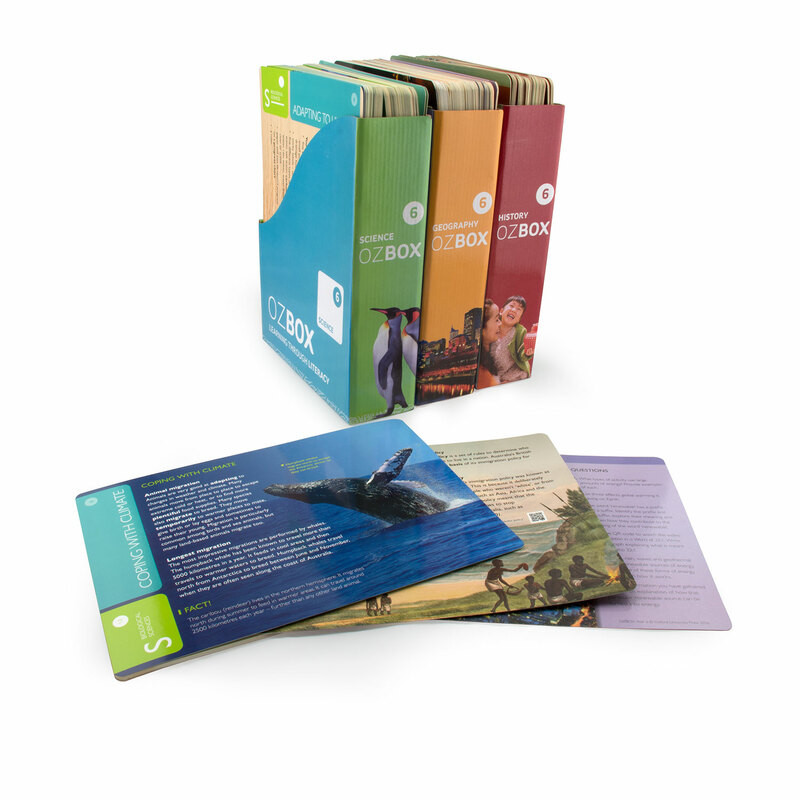 There are four different topic cards for each Australian Curriculum content description. The cards are written at different reading levels – below, on and above – to allow for differentiated instruction. include QR codes that link to real-life videos, allowing for deeper learning and engagement with the subject content. Explicit links to specific Australian Curriculum: English content descriptions.